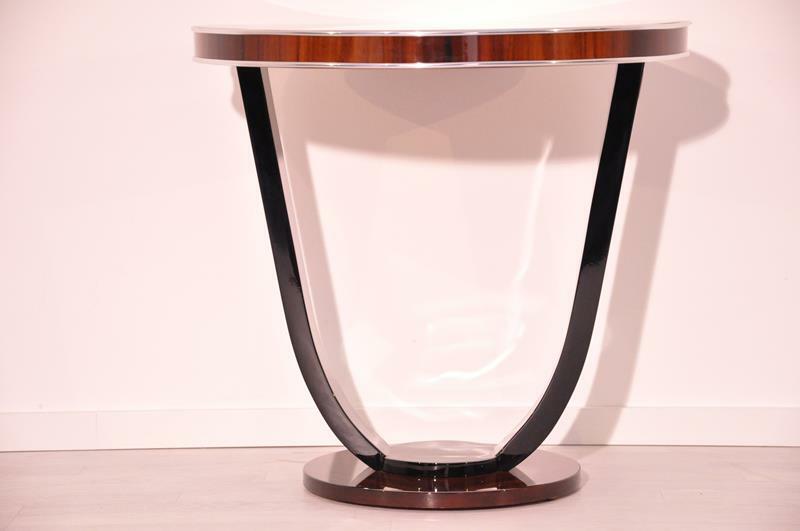 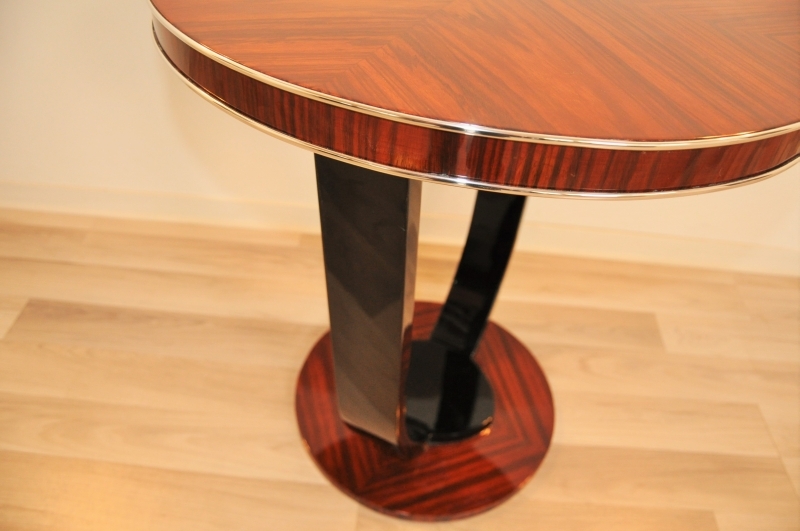 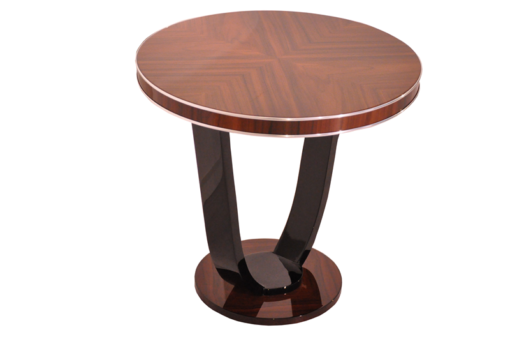 Luxurious Art Deco style side table made of wonderful palisander wood. 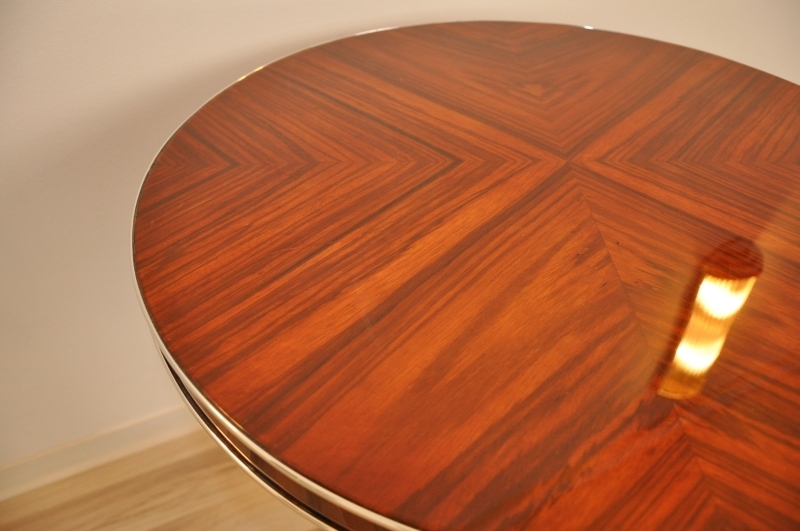 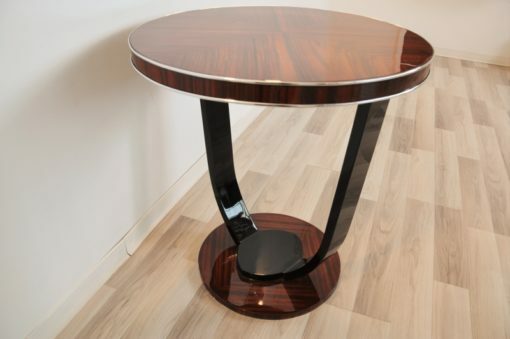 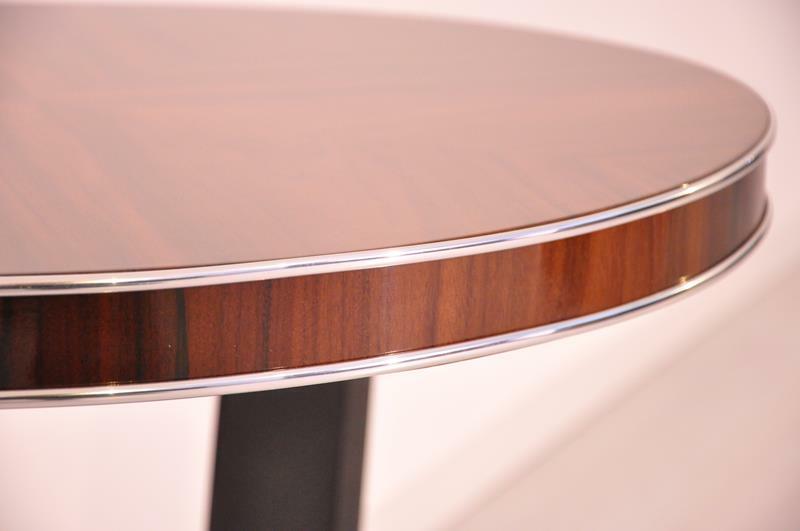 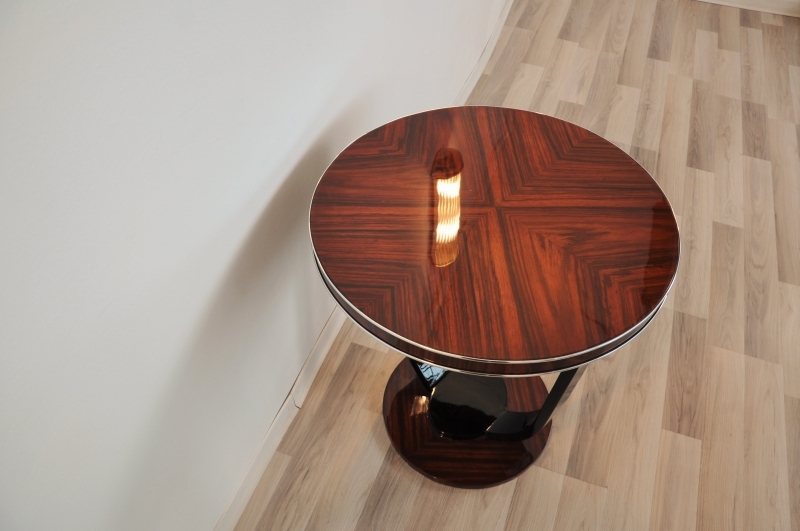 Custom table with hand-polished clear lacquer. 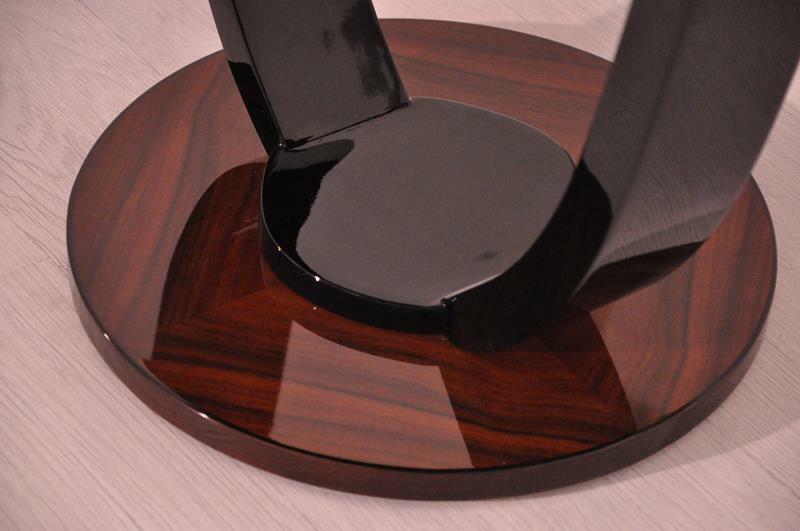 Second piece out of a pair. 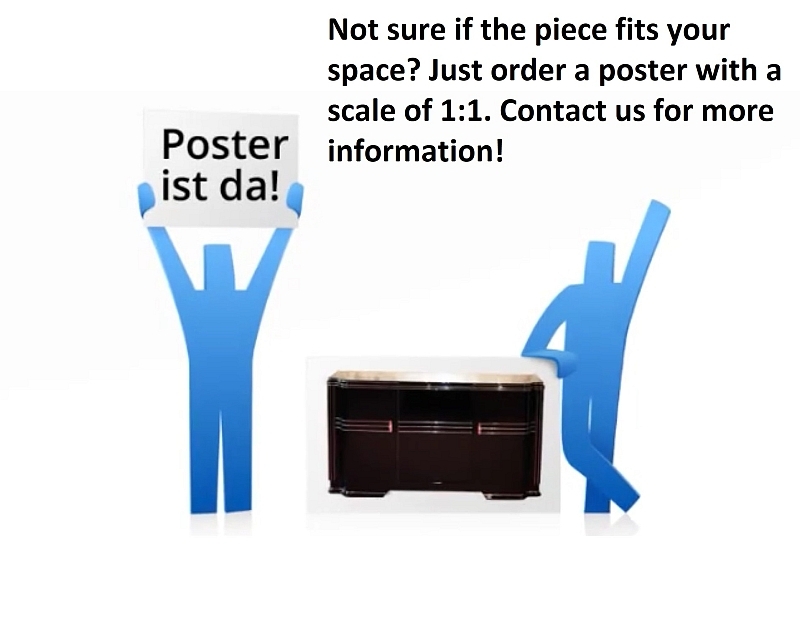 Veneer may vary slightly.